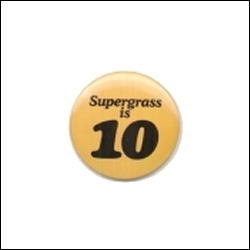 The front cover is made up with a detachable "Supergrass is 10" badge. The album was released on 07 June 2004. To hear a sample of a track simply click the Windows Media logo next to it. Tip: Right-click and select "Save Target As..." to save the files onto your computer.